Hello everyone :), I am in prep for my boards, and have a few questions for my optician friends. My first question is, If measuring the distance between prism reference points in a pair of bifocals, is this point the distance between pd's? The PRP on most PAL's is exactly in between the two lazer 180 engravings. Use a PAL cut-out chart to locate. 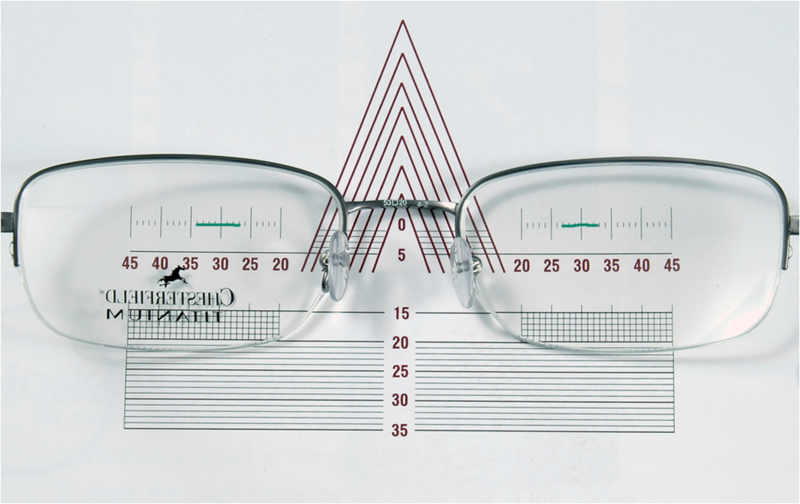 With segmented/or SV lenses you'll read the prism at the correct pupillary height/inset. ... positioned in the lensometer using the alignment marks on the lens stop.